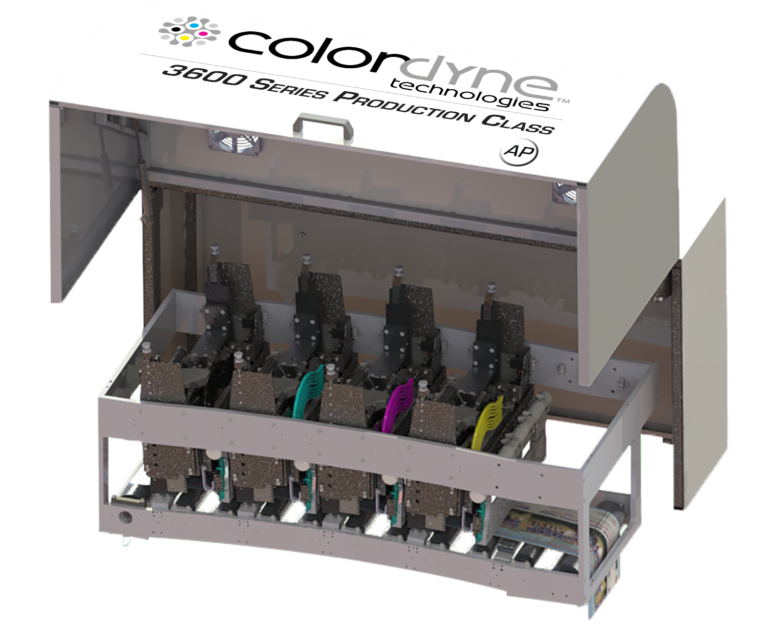 Colordyne Technologies, a leading manufacturer of digital label and packaging equipment, announces the addition of two aqueous pigment solutions to its 3600 Series Production Class. Colordyne debuted its 3600 Series AP – Retrofit and 3600 Series AP – Engine Kit at the Colordyne Open House on March 27, 2019. The 3600 Series AP solutions offer longer printhead life, superior print quality and enhanced durability with pigment ink. Colordyne’s pigment solutions use the latest aqueous printhead technology that lasts 10 times longer than other water-based inkjet printheads. Both solutions can print CMYK plus spot color at resolutions up to 1600 by 1585 dpi and speeds up to 668 feet per minute (204 meters per minute). The pigment ink set also provides greater durability including water fastness, light fastness and rub resistance. The 3600 Series AP – Retrofit is designed to enhance label converters’ and print providers’ existing flexo presses or web handling systems with digital print capabilities. Setup times and expenses are reduced by printing short run and high-mix, low-volume jobs digitally, while continuing to use all existing tooling and finishing equipment that has already been invested in. Label converters and print providers can quickly and affordably integrate the 3600 Series AP – Retrofit to build or expand their digital business. The 3600 Series AP – Engine Kit is modular and scalable to meet integration partner’s unique press specifications and market needs. A single printhead, using Memjet’s DuraLink technology, can print up to 8.5 inches (215.9 millimeters) wide. The 3600 Series AP – Engine Kit can be customized to meet wider print widths by stitching multiple printheads together for each color channel.